When it comes to self-care and making time for ourselves, the most common reason people avoid doing so is because they think they have no time and they’re too busy. Trust me. I’ve been there. It can be hard to schedule in time for yourself when you have a lot going on and feel like you can’t afford to take some time out for yourself without everything else around you come crashing down. 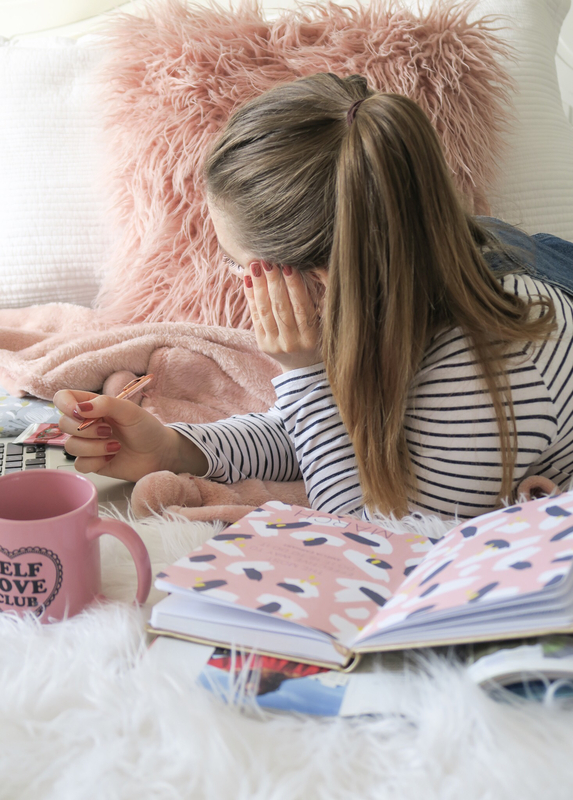 Well, good job you’ve come across this post because I’m going to show you how to schedule in time for self-care when you’re busy. Now I know what you’re thinking, ‘I’ve already got it in my head that I don’t have enough time to even make time’, well the good thing about self-care is that there is no limit on how much you need to do or what kind of activities you do. You can make time if you truly want to. Even if it’s only 10 minutes each day on your commute, on your lunch break or before you head off to bed. Instead of mindlessly scrolling your social media timeline, you can make use of that time and make some time for yourself. It won’t make time for you unless you make time for it. You have to stick with it. Be realistic with how much time you can dedicate to it or what your wants with it are. Anything counts and can make a difference. When it comes to figuring out what you need to do carry out some self-care it’s always a good idea to turn inwards. I do this a lot in times of need but even just in general I like to listen to what my body is telling me and then act accordingly to what it needs. Is it telling you to rest? Is it telling you to unwind and relax? Is it telling you to find some joy? Whatever it is start there. Find something that you already love or you already have proof makes you feel better. For example, if you’re feeling tired and worn out, instead of getting up early on Saturday, schedule in the time for an extra hour in bed. It’s about putting yourself first and getting to know yourself more. Whenever it comes to those moments of doubt or a lack of motivation to carry out your self-care activity, you need to go back to your why. Your why is the one thing that will help you to even begin your self-care journey and be there when you feel yourself slacking with it. Why do you want to carry out self-care? Why are you wanting to maintain self-care? For me, I want to carry out self-care because I know I deserve to look after myself and be there for myself. Whether this means emotional, physical or whatever it may be, I know that when I have a healthy self-care relationship with myself, I can tackle other challenges in life in a better way because I have the practice already. Above and beyond anything self-care should be number one. You wouldn’t want to go into work feeling your worst and therefore end up performing badly. So ensuring you’re carrying out self-care is essential to getting by each day. It’s our choice to carry out self-care. No one is going to do it for you. You have to want to do it and you have to want to make it a priority. It is important and it’s in our control to make that time for ourselves. We’re important and we’re worthy of giving ourselves some time and care more often than not. Now I know that if I make it a priority and schedule in time for self-care then I’m being a better person to myself. It’s not selfish to want to look after yourself or to even make some time for you. You’re worthy of taking the opportunity to schedule in some time for self-care. Everyone deserves to have that time to themselves and to even work on their own self-improvement or wellbeing. We should all be making time for ourselves more often. If making self-care a priority and actually carrying out is a completely new world to you, then starting small is always a good place to start. Even if you’re not a total newbie to it but you just need some extra motivation and to get into a good habit with it, then a little and often over time can be helpful. Remember that practice over time helps to create habits. Habits then become memorable to you and you can then feel the most of the benefits of doing so. Setting small yet achievable goals can really help to give you focus. I now have Tuesday and Thursday nights as my evening’s where I up my skincare and make myself feel good by giving myself a little pampering. It’s such a good self-care activity and one that gets spoken about a lot because it’s so easy to do and does make us feel good physically. But there’s also the other side of self-care that I like to do. On a Friday I like to take things more slowly. I like to have a more chilled out start to my morning which usually involves painting my nails and taking some time out to watch a movie or a few TV series episodes on Netflix, before having a bath and then carrying out any small tasks to unwind in preparation for the weekend. Self-care is a journey. It’s a journey of self-discovery and a chance for you to work on your wellness. So don’t beat yourself if you forget to carry out a particular activity if you miss days because you’re not feeling well or something else comes up that needs your attention. You’re not a failure. Just start again. Take it nice and slow. You’ll get back to where you need to be. I want to get back into working out after being poorly the other week and I know that it will take some time to adjust myself back into it, but I know I can get there again. I just need to schedule in some time to get started again. How often do you schedule in time for self-care? This post is so important. I often find myself “too exhausted” for self-care, and end up just watching netflix instead of actively taking the time to care for myself. I love this post, I totally agree, it’s SO important to make time to look after yourself. It is so important to make time for yourself every now and again! I try and make sure I switch off after 7 Pm. I feel with blogging it can feel like this 24/7 thing and it’s really tricky to stay still and take a break from getting things done. I’ve recently been scheduling time to watch Netflix and pamper myself after a long day of writing assignments or being at uni. It really helps me stay sane haha. Also i love writing in my gratitude journal before bed. Self care is so important! I think everyone can be guilty in saying that we should spend much more time on self care! Such an important topic, I always feel guilt for relaxing which is crazy!